Several years ago, I found this intriguing piece of stitchery at the Brimfield Flea Market. 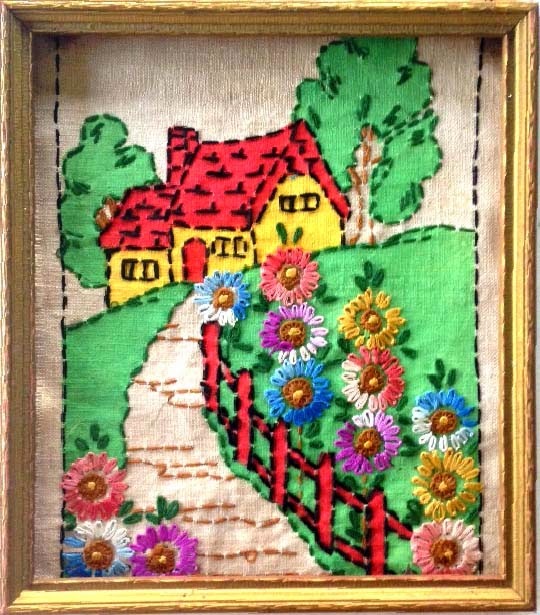 I loved its simplicity, the bold colors and the naive stitches. It has been tacked onto one of the kitchen cabinets for several years. You know how finding old things can inspire you, right? Me too! This sweet little picture has inspired me. 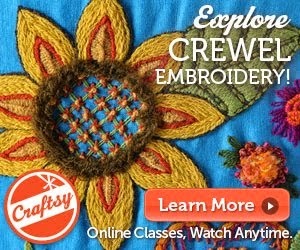 I have designed four new embroidery projects for you to stitch. I'll be previewing them all this week. Pop back in everyday to check them out. On Friday they will be on sale in my webshop - just in time for some summer stitching. This week, I'm busy cleaning the studio for my first Crewel Embroidery Retreat here at the farm. It is a big job neatening this place but it will be good when it is done. Good chance to hoe some stuff out. The students arrive on Saturday for an all day class and I can't wait to meet them and share 18 new stitches that are different than those on my Craftsy On-Line class. Hope you are enjoying July. 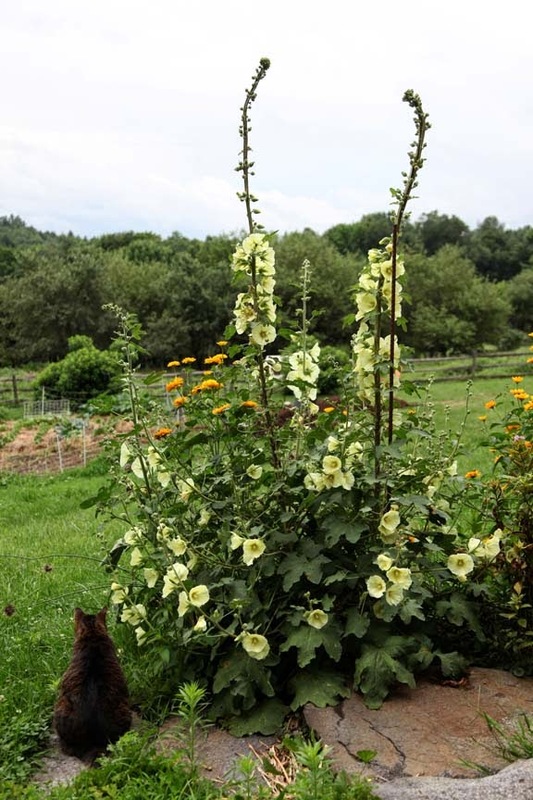 My old-fashioned hollyhocks are blooming. This plant keeps getting bigger every year. I think it is happy! I've finished planting the sunflower seeds. The garden is 3/4 mulched. I use the giant round hay bales that aren't much good for sheep food. Yes, I know I will get weeds but these are available and I will always have weeds. 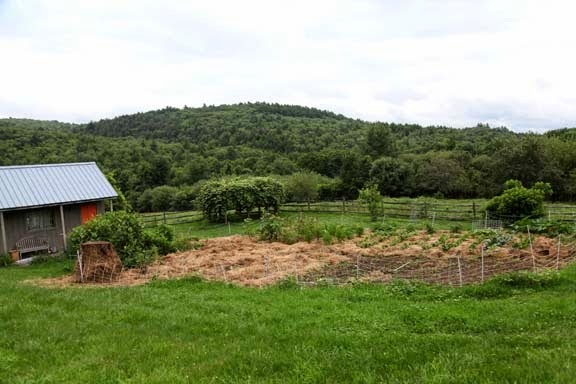 The hay rots into the soil and enriches it the next year. It also pretty much makes watering the garden unnecessary. 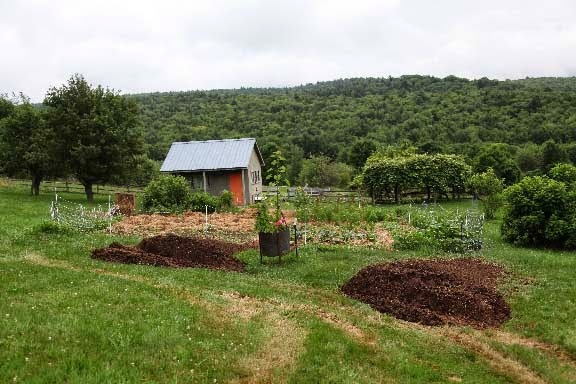 We have a well and not much water so I like that the mulch keeps the soil underneath full of moisture. Once the last batch of sunflowers germinates and gets a little size on them, I will mulch those rows too. I was complaining the other evening how my garden looked like it needed some nutrients. Look what my Farmer brought me. Two enormous piles of cow manure. He had a giant manure spreader with him and so there weren't many options for where to put the brown stuff. Now these two piles have to be hand-moved onto the garden. More work for another week. But it will help my soil which is quite sandy. Thanks for all the questions on the shearing. I will try to answer them one night this week in the comments section. Back to the wash buckets and floors. Don't forget to pop back in to check on what I have for you this week. Love the crewel stitchery. My summer resolution (you know like half-New Year's) is to do some stitching. I guess I better get going? I visit you for the inspiration! Love those hollyhocks, as well. The last hurricane wiped out what I had (they weren't my hardiest plants) , and I kind of forgot how much I love them. Dear Kristin, I so enjoy visiting your blog every time you post! I thought you might like to see a knitted/crocheted original creation of mine in which I used one of the beautiful edgings found in your Color by Krstin book. I love that book! 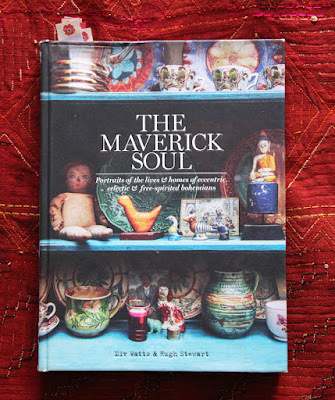 It is an endless source of inspiration ! "Cow" manure, huh? - Hope the "Sheep" don't start feeling cr@ppy about that.